Chef Scott Benson at Lespri Prime Steak & Sushi cooks with his great-grandchildren in mind, a fitting philosophy in the week his second child is due to be born. Lespri was once a restaurant catering to a membership, but is now open to the public. The change, a few years back, never diminished Benson’s commitment to serving creative, sustainably prepared, high-quality dishes, especially the marquee steak and sushi. The sustainable approach to handling the ingredients for the steak dishes means the kitchen is involved in preparing the meat earlier in the process. Encouraging creative freedom has allowed Benson to staff a kitchen with deep talent, each of which could be an executive chef of their own restaurant, he said. 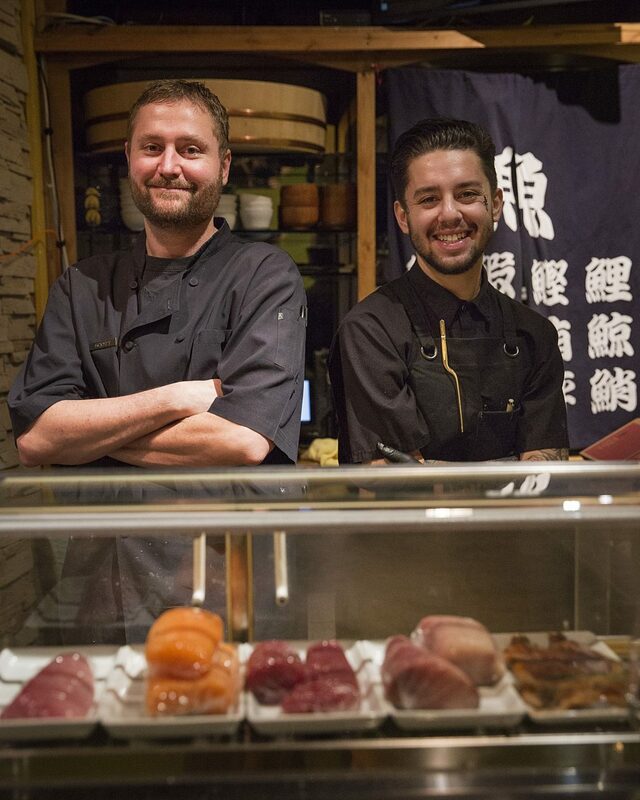 Benson himself came on board at Lespri as the sushi chef almost seven years ago, and helped build up its menu and following. Lespri has an intimate four-seat sushi bar for small parties to have the personal experience with the sushi chef as well as the food. The menu of home cooked comfort food with a twist is not limited to meat and fish entrees, however, and Benson enjoys the challenge of creating vegetarian dishes on par with the rest of the menu, including his veggie steak. Benson and the Lespri name will begin spreading the taste and practices of his kitchen by creating a banquet department at Treasure Mountain Inn. Club Lespri property management company, the restaurant’s parent company, took over operations at the property in 2017. Benson advocated for an investment in both properties’ kitchens, and plans to have the department running by late 2018 or summer 2019. Having his current staff at Lespri will allow him to step back and focus on the new venture. “I want to remodel this kitchen and make it up to date, so we can make amazing food that represents us,” he said. Lespri Prime Steak & Sushi is located in Prospector Square, at 1765 Sidewinder Drive. Open for dinner Sunday through Thursday, 5 to 9 p.m., and Friday to Saturday: 5 to 10 p.m. For more information, 435-649-5900 or log on to lespriprime.com.